The Europeana Space Toolbox is a web based application to be used by curators and educational staff in museums , memorials and exhibitions. Using specifically designed templates, information and images can be added to create worksheets for educational work and storyboards for media productions. Data can be uploaded from local sources or from Europeana directly. With simple drag and drop a template can be filled with new items. The created worksheet e.g., is ready to use: printed for a guided tour, or digital to send as a file. Tailored to collections and exhibitions, new materials and offers can be used for groups and individual visitors. 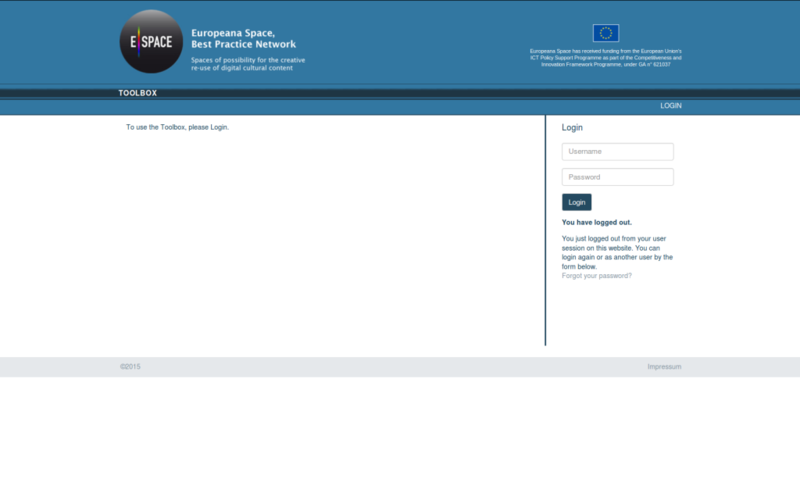 The Europeana Space Toolbox is a flexible solution for smaller and medium sized institutions in particular, with limited resources of staff and money – based on an open source data and content management architecture. Content will be presented more effectively and used and reused by the museums staff and creative partners in developing new creative products in a few easy steps. To access the Toolbox please click here, and contact us for log in credentials.